As we continue to chronicle the hardships of what our Political leaders went through under Yaya Jammeh’s 22 years of rule of terror, our dependable Senior Police Officer will attempt to take us through the trials and tribulations of two dynamic Political personalities, who were the second victims of Jammeh’s heavy handedness after the PPP Government Ministers were humiliated by been put in the back of a Military Truck and driven around Banjul in the early days of the Coup! Ladies and Gentlemen, Brothers and Sisters, we are referring to the man who coined the phrase “The beginning of a new beginning” shortly after Adama Barrow was elected as flag bearer of the coalition 2016, Halifa Sallah and Sidia Jatta the former party leaders of PDOIS. In 1994, the Military Junta led by Lt. Yaya Jammeh, issued a degree banning all Political Parties in the Gambia. Sidia and Halifa defied the ban and continued to engage in their Political adventures and activities. The two continued to publish Forooya News and the Military Government felt threatened and ordered for the arrest of Sidia and Halifa for defying the degree. They were arrested near the Ministry of Education opposite the Maccarthy Square where they were found selling the Foroyaa News Paper and taken to court. They defended themselves in a lengthy court proceedings and they were subsequently acquitted and they continue publishing their news. It must be noted that Sidia and Halifa were the next victims against all odds to defy the authoritarian regime of Yaya Jammeh! The arrest and subsequent prosecution of Sidia and Halifa earned them respect, admiration and sympathy, thus sending them to the then ‘House of Parliament’ now National Assembly in the 1996 General Elections. Sidia was elected as MP for Wuli Constituency and Halifa elected as member for Serekunda, a constituency he lost to Omar Jallow(OJ) in previous elections. Lots of drama unfolded in the new House of Parliament as the two MPs refused to be sworn-in by the Speaker because the correct procedures were not followed. They were sworn-in at a later date when the correct procedures were followed! Remarkable! It was indeed a very unique parliament as the two members were a ‘thorn in the flesh’ of the ruling MPs! 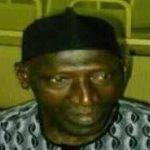 Few years along the line in 2009, Halifa Sallah was arrested by plain clothes Police Officers for critizing and writing to the National Security Council of the Gambia under the Vice President condemning the arrest of citizens accused of been witches! He was charged with ‘publishing a seditious intent and spying’. When he was arrested, he was taken to Serekunda Police Station, then Yumdum Police Station, then Banjul Police Station and finally at Brikama Police station, where he was arraigned at the Brikama Magistrate Court. Halifa was reminded at the Mile ll Prisons for weeks before his next court appearance. After his arrest, several hundreds of people suspected of been witches in Foni Sintet were arrested by witch hunters accompanied by the Army, Police and NIA! Those arrested were taken to the President’s Farm in Kanilai to work. They were forced to drink concoctions and some eventually died. 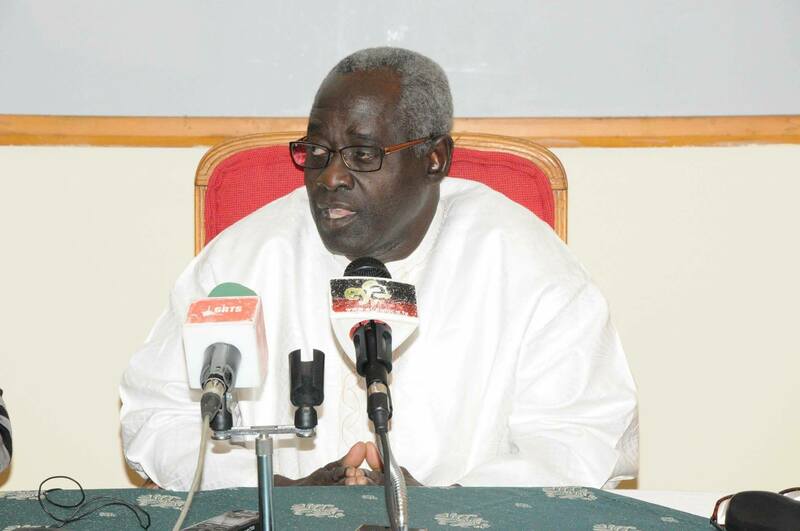 Halifa’s letter to the Security Council described the actions of the Government as a ‘gross violation of human rights and and infringement on the privacy and liberty of Gambians’. Halifa pleaded not guilty when the charge was read to him. He defended himself and applied for bail. The presiding Magistrate laid down conditions for his bail and here are they: He needs three Gambia surities and two of them must be former Inspector Generals of Police and the third one must be a retired army officer of eight years not below the rank of General! Halifa would not meet these conditions because all the former IGPs were never retired, instead they were dismissed. Further more, there was no army general in the Gambia, who retired for eight years and to make matters worst, all these people must be residence of the Brikama Jurisdiction! Halifa was reminded in custody again because he couldn’t meet the requirements.’ The bail conditions were a blatant attempt to keep Halifa in remind while the case drags at the court. It’s shows how the judiciary was used by the dictator to serve his wishes and to punish his perceived enemies especially politicians. The Political temperature became high and dangerous! Halifa was stilled detained. The ex Nigerian President Obasango on behalf of the Commonwealth traveled to Banjul to negotiate a peace deal between Jammeh and the Opposition. The peace deal included to drop all charges on political opponents including the charges against Halifa. 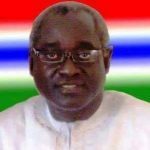 When Halifa got out Prison he did not relent, he kept on challenging the regime about its human rights violations and its violations of the constitution. Some people believe that the duo, memorised The Gambian constitution as they always quote it when making their arguments. Halifa, was very instrumental in the formation of the ‘coalition 2016’ and it’s believed that he was one of the architect of the model used to form it. He stood as one of the candidates to lead the coalition and lost but that did not stop him from working hard to ensure the coalition’s candidate Adama Barrow win the 2016 election that ended the brutal dictatorship of Yaya Jammeh. After the victory of President Adama Barrow, our erratic former president Yaya Jammeh first accepted the results but after nine days he rejected it and accused the IEC of bias and cheating. During this period Halifa Sallah, was the mouthpiece of the coalition. He eloquently addresses nation frequently and preach peace throughout the period. He was one of the most important persons in country during that period as everyone relied on him for information. Meanwhile, he and Sidia, did not take any cabinet appointment in the new coalition government. They claimed such appointments will contravene their party’s principles. But, both Halifa and Sidia are vying for seats in the National Assembly in the forthcoming polls. We wish them good luck. NB: this report may not have exhausted all the ordeals the duo went through, it only captures the major events that affected them both.